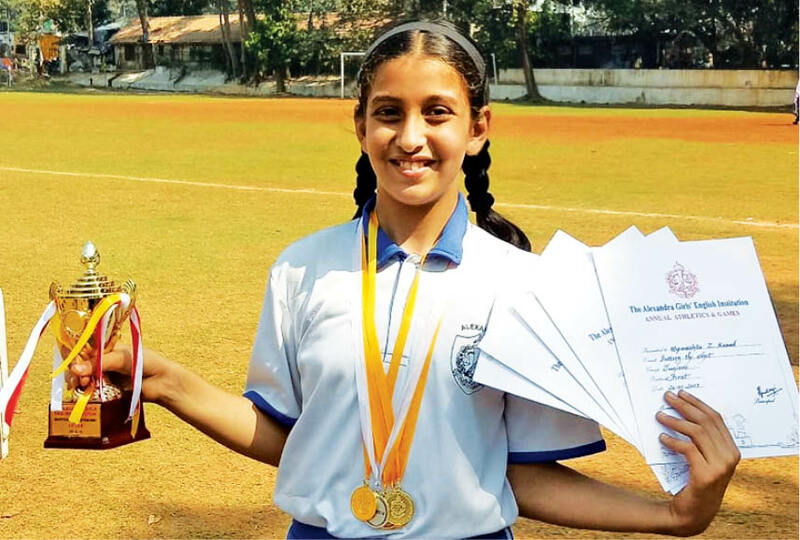 In the Alexandra Girl’s English Institution’s annual Athletic Meet held on 25th January, 2019, Spanishta Kasad, from the Bombay Parsi Panchayat athletic team, stood out as the exceptional athlete in the Junior Division. She won 5 Gold medals and 1 Silver medal and was adjudged ‘Individual Champion’. Spanishta trains every evening at the Rustom Baug playground and in appreciation of her outstanding performance, is being sponsored by the WZO Trust Funds.